2015 seems to be full of opportunities in such digital health areas as telemedicine and connected health—needs of healthcare stakeholders are expansive, the specialties are broad, and cutting-edge technologies are developed every day. 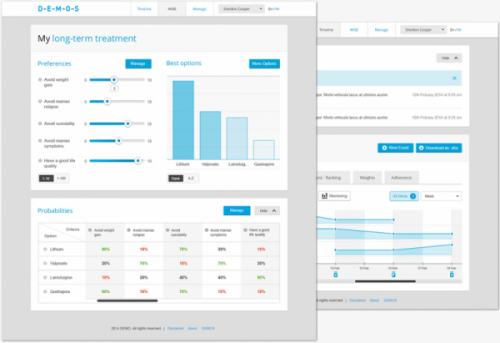 This mobile app made in the UK lets you save time and resources in the treatment process. The technology allows for instant sendout / receipt of lab / test results electronically and conducting of online consultations. PKB is integrated with over 100+ devices and apps, including blood pressure cuffs, fitness and activity trackers, weight scales, hydration trackers, sleep monitors and medication dispensers. The important part is security of patient-controlled medical records, so this digital health app stores all data behind the secure NHS N3 network, and provides access via any web-enabled device. It allows for unique encryption of each patient's records and only medical personnel that patients choose can decrypt and access the data. PKB's single secure patient-controlled record connects all stakeholders together, allowing patients and medical personnel to work remotely in an efficient and low-cost way. 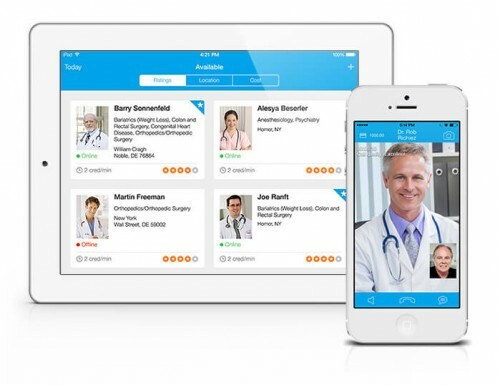 This is the disruptive eHealth app from the Netherlands that offers a secure communications platform with digital interventions allowing doctors to help patients anywhere anytime. 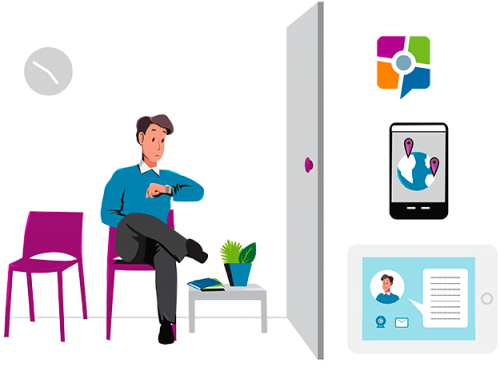 This technology contains the following features to treat patients effectively: quick messaging; client overview; video calling; modules, questionnaires and triage; personalise modules for patients; diaries and a mobile app. Minddistrict is based on face-to-face contacts with supporting people to conduct real behavioural change by offering seamless ehealth experiences. It moves eHealth apps into a new era of mental healthcare by empowering consumers to be more self managing as well as supporting early intervention,continuous care and higher professional productivity. This mobile eHealth app was developed in Switzerland. 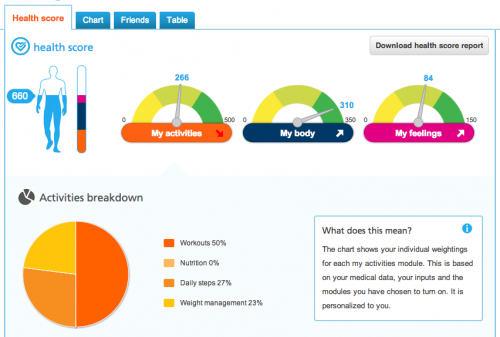 Its main feature is tracking and benchmarking patients' health and well-being in an easy and fun way. Dacadoo's Health Score uses a scale from 1 (low) to 1,000 (high) and is based on each patient's personality, health habits and lifestyle. When tracked over time, it offers a good directional indicator of how patient health and wellbeing are evolving. With this mHealth application patients can track exercise, nutrition, stress, sleep, body values and mental well-being. Also, it contains gamification features to make our experience with the tool a real fun. There are two bonus programs, Corporate Wellness and Business Solutions, that measure employees' health and wellbeing in real-time and provide corporations with the ability to deploy their own fully branded health and wellbeing solutions for their customers and users. This is the world’s first mobile, free-market doctor network that makes medicine more accessible, more affordable, and more transparent. This program gathered together top-quality U.S. licensed doctors that are Health Professionals from the world’s top-ranked institutions such as Harvard, Mayo Clinic, Johns Hopkins, University of California – San Francisco, Washington University, New York University, and many more. Patients can choose any highly-qualified doctor or health professional and start a video chat with them right away! Patient privacy is a top priority for VideoMedicine and it is more than just HIPAA compliant, because this eHealth app exceeds security standards for health data transmission. The main purpose of this digital health app is to make mobile telemedicine not only a success, but also an educational and enjoyable experience for both patients and physicians. This new web and mobile eHealth tool that is being developed right now is expected to disrupt the way treatment decisions are made in Norway today. This project is patient-focused and will change Norway's health care traditions by involving patients in their treatment choice and pushing them to make own decisions rather than follow the generalized prescriptions by doctors. The eHealth system is also used by physicians and healthcare personnel (e.g. nurses, administrators) that allows for a “decision coach” to support patients in acquiring new knowledge and getting to know their priorities better. Read about software development company in Chicago. As the battle on the mobile health arena is becoming tough now, future eHealthcare solutions will have to significantly improve UI / UX design and backend integrations to gain competitive advantages and rock in the mass market. It is so serious that the UK's National Health Service (NHS) is planning to introduce a new Kitemark for apps scheme to identify the most efficient and really useful mHealth apps and recommend them for use by patients and healthcare organizations. Do you think that "Doctor, prescribe me an app" concept is viable at all? Please share your opinion in comments below!